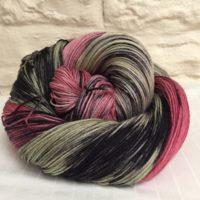 Abney Welldressing is part of the Peak District Yarns Welldressing range – which pays tribute to the Derbyshire tradition of Welldressings, where beautiful pictures are created from petals and foilage set into clay. Abney Welldressing features a oh-so-bright mix of tangerine, garnet red, yellows, golds and flashes of cream and white. 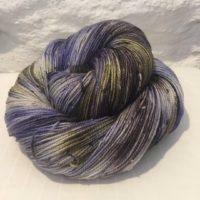 Dyed on a super-soft 80% bluefaced leicester / 20% nylon high twist base, this yarn has strong stitch definition and is great to work with. 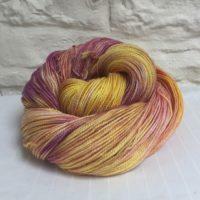 This colourway is created using a dye technique which randomly places the colours on the skein – so is less prone to pooling than other hand dyed yarns. Machine washable on a gentle 30 degree wool cycle. All orders to be delivered within the UK will be sent via Royal Mail postal service. All other orders will be sent by surface mail. Postage and packing charges apply to all items purchased on the website. These will be calculated for you at checkout. 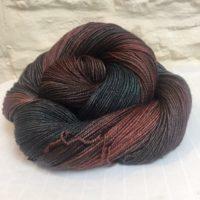 For yarns UK customers there is a flat charge of £3.25 per parcel. For Europe customers there is a flat charge of £5.25. For other international destinations parcels are charged at a flat rate of £10.95. Delivery to UK destinations for patterns is free; there is no P&P charge for Workshops. UK customers sometimes benefit from offers of free postage, which will feature on the website from time to time. These offers of free postage do not apply to International orders.